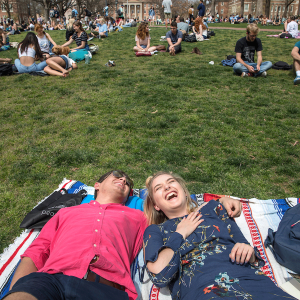 Spring is on its way to Chapel Hill and that means a few things. First, and arguably most importantly, it’s time for March Madness. This time of year also means Carolina students get to shed a few layers, celebrate beating Duke, see swarms of high school seniors visit for admitted student days and, of course, enjoy spring break! The improving weather on our gorgeous campus also means Instagram posts. 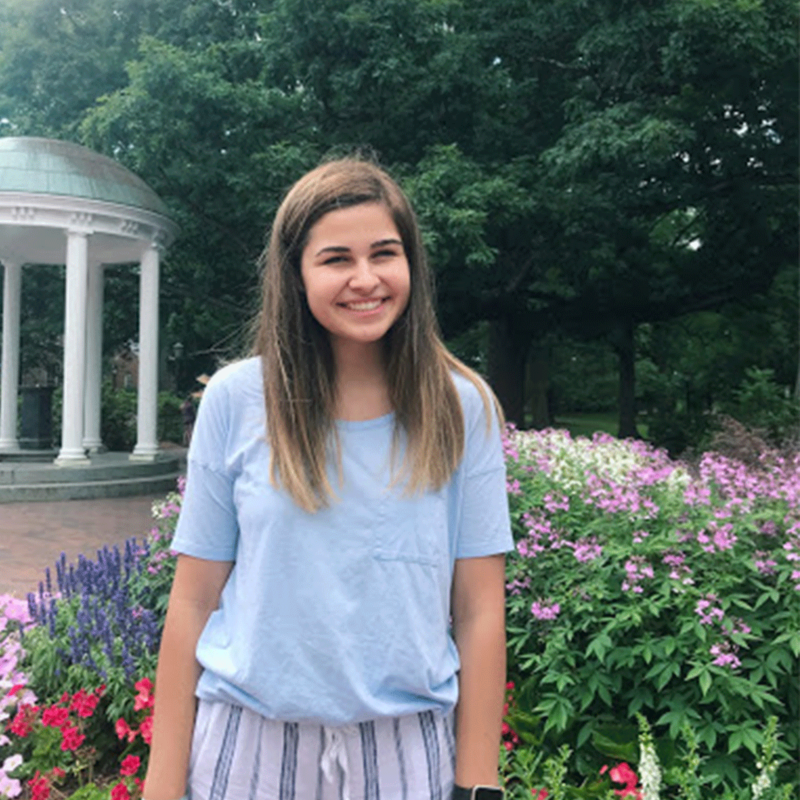 To help you get ready for spring, Carolina Social Influencer and UNC first-year student Alyssa Floyd rounded up her favorite Instagrammable spots on and near campus. Would this list really be complete without this priceless gem? Would it even count if this picture wasn’t taken while I was at orientation? Regardless, I’ll probably keep taking pictures at the Old Well every time those beautiful flowers bloom. 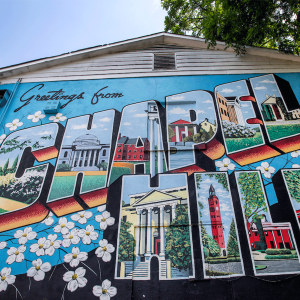 I won’t lie, I’d question whether you’re actually a Carolina student if you don’t have a picture at this iconic mural on Rosemary Street. You can also find a “Welcome to Chapel Hill” mural on the brick wall next to The Yogurt Pump (YoPo), just a few steps away. This perch gives you a different perspective on Polk Place. Ten bonus points for this Instagram post if you have an iced coffee in hand from the Stone and Leaf Café. Need a break as you work your way toward the end of the spring semester? 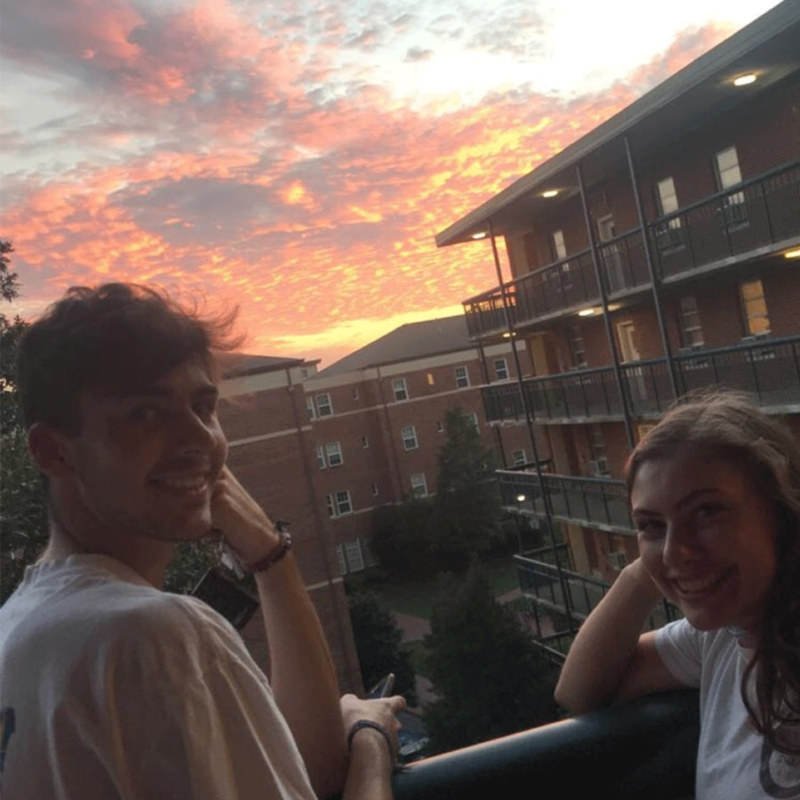 Step out of the study lounge to snap a pic of a gorgeous Carolina sunset. Nothing beats it. 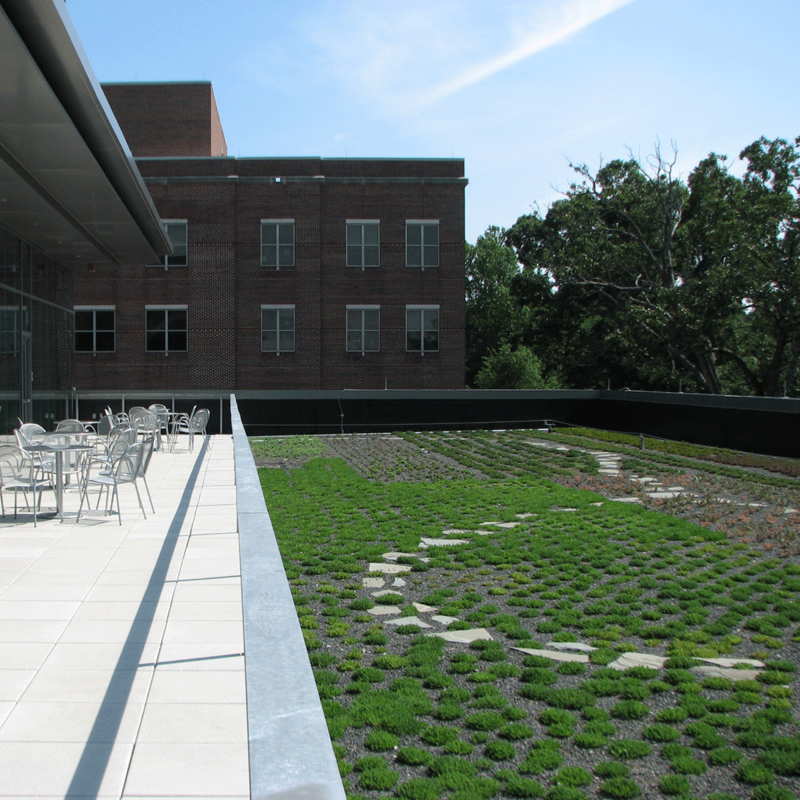 The rooftop of the FedEx Global Education Center has a beautiful green garden, which is a perfect place to study on a great spring day and is obviously a great place to snap a picture. 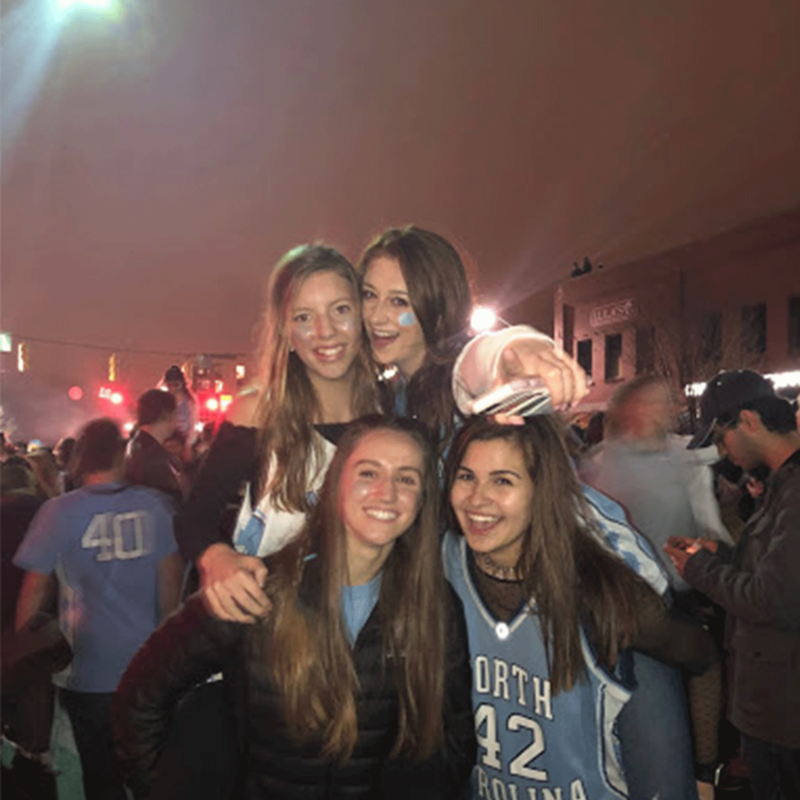 What would spring be without celebrating on Franklin Street when we #BeatDuke or conquer the NCAA Tournament? 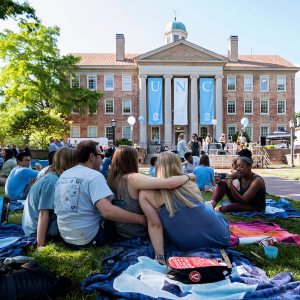 Want to learn more about the first-year experience at Carolina? Follow Alyssa at @alysssafloyd on Instagram!